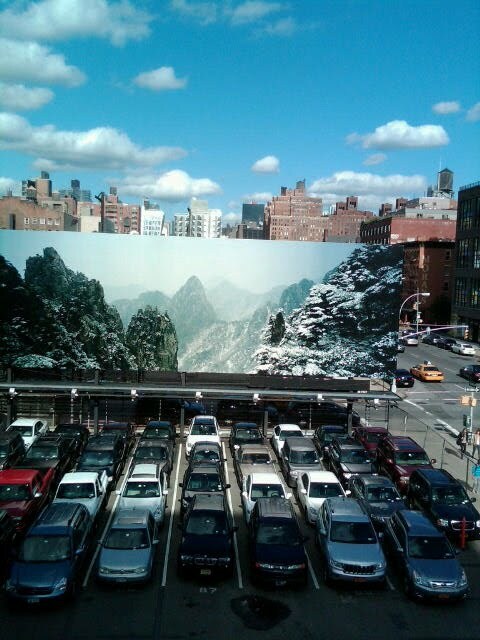 Halle took this photo from the High Line and it reminds me of my life list. Not because I love cars, parking, and want to be an alpine mountaineer - I have zip interest in those things - but because of the juxtaposition and intersection of nature and city extremes. My favorite places have some element of extreme to them - New York, Berlin, Iceland, Alaska - and the motivation behind parts of my list is deepening those experiences. I also want to make a quilt out of old clothing so I'm not exactly a full-time adrenaline junkie. Numbers 101 and 102 on my list could be to never, ever have to try to escape from the claws of a grizzly bear or the cold embrace of an icy crevasse. Who knows, though? When I make it to that Alaskan cabin (#14), a curious bear may take it upon himself to sniff it out and I will be forced to hide indoors and sneak photos through the windows. I'm prepared for that.